This was my second visit to Bang Restaurant. 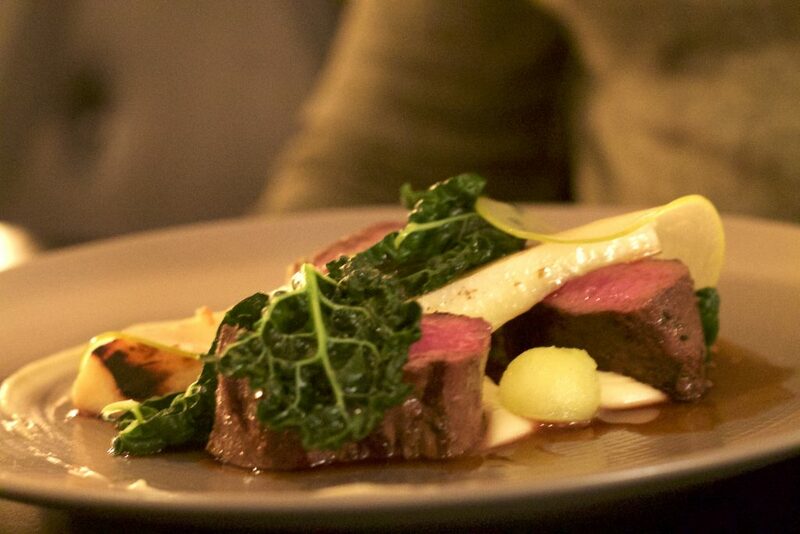 The first time I went I had the 7 course tasting menu which was gorgeous so as soon as I saw there was a deal for a ‘Friday Night Special Treat’ on Valentine’s Weekend I booked it straight away. I feel like Bang Restaurant doesn’t get the praise it deserves. 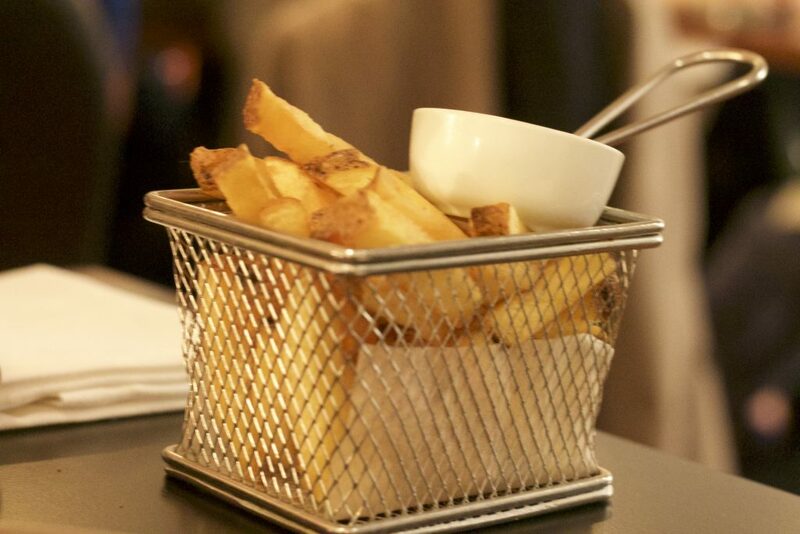 It’s extremely reasonably priced for the quality of food it serves. There are constantly deals available on their website and through various different deals websites. I feel people sometimes assume that restaurants on deal websites are of a lower quality but this is differently not the case here. Everything is well executed and presented with precise care and attention to detail. Anytime I mention Bang Restaurant people seem to have forgotten about it but to me it’s up there with one of the best restaurants in Dublin. I would highly recommend going here for either a date or with a group of friends. The atmosphere is great, the staff are pleasant and most importantly, the food is fantastic. 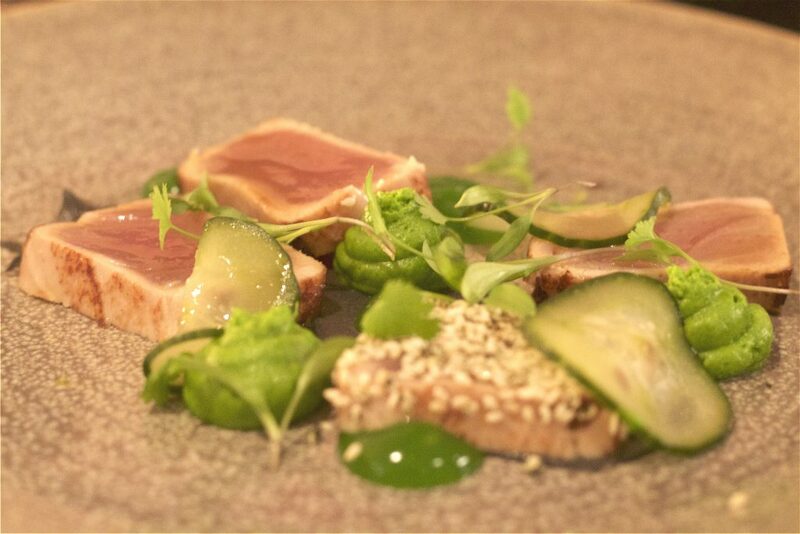 For starters I had the seared tuna with avocado mousse, black sesame and pickled cucumber. I have a love/hate relationship with tuna. I love it in sushi when it’s raw but hate the tinned variety. It was the avocado mousse that sold me on it and I didn’t regret ordering it. 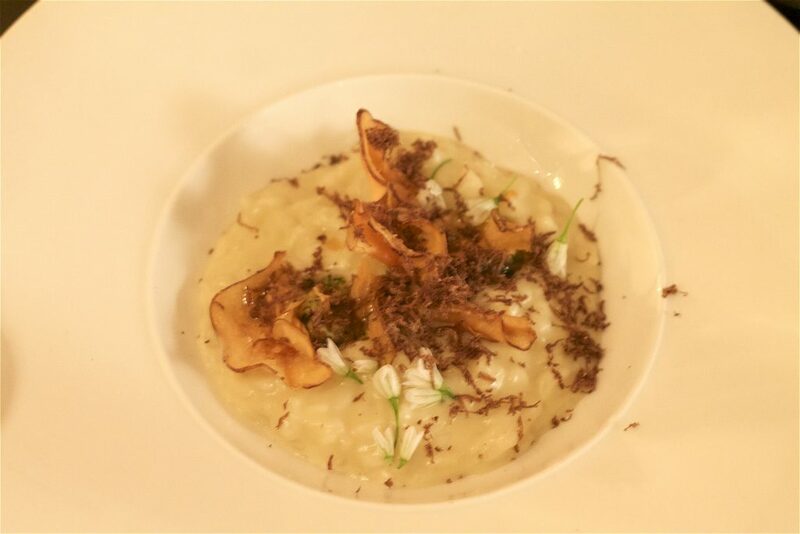 Mr. LP had the Jerusalem artichoke risotto. It was gorgeous, maybe even nicer than the tuna. 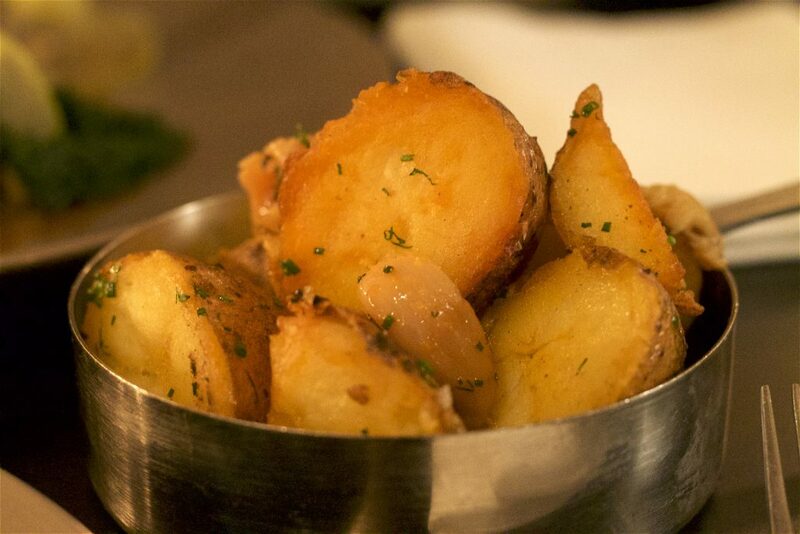 Jerusalem artichokes seem to becoming more and more popular and I for one am delighted! I love them. I just haven’t braved cooking them myself yet. For main I opted for the chicken. I usually would never order chicken and I actually wanted the venison but because we both wanted the tuna to start and I won that round I conceded and went for the chicken instead. 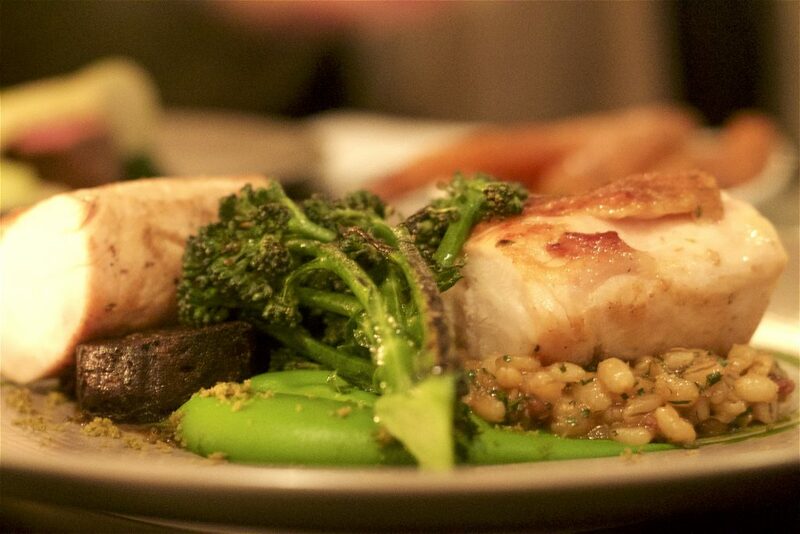 The broccoli puree was lovely and the pearl barley compliment the chicken nicely. I find pearl barley can be hit or miss but this was definitely a hit. What can I say about the black pudding? If you don’t like black pudding you’ve got issues. For sides we slightly lost the run of ourselves. 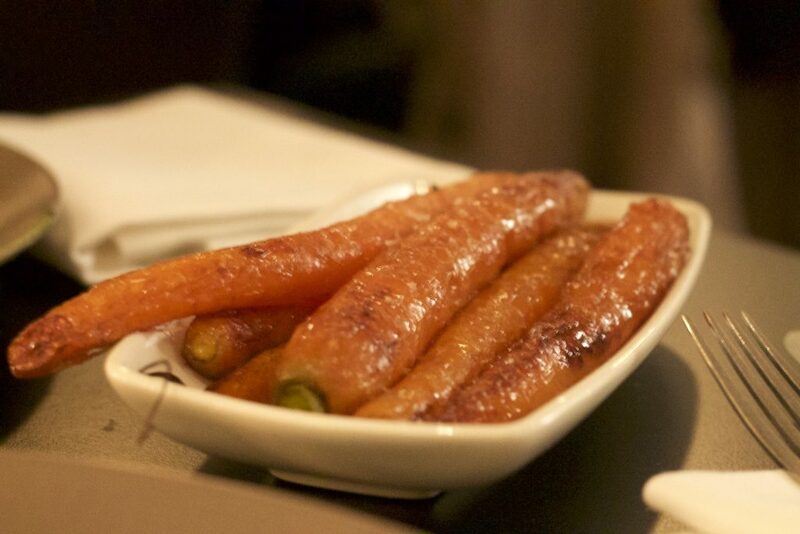 The carrots were our favourites. I don’t know what’s in a whey dressing but man it’s tasty. No meal is complete without dessert. I’m more interested in fruity desserts lately and LP likes chocolate ones. I had the lemon meringue parfait. Meringue is one of my all time favourite desserts so I’m pretty picky about it. This one hit the spot. 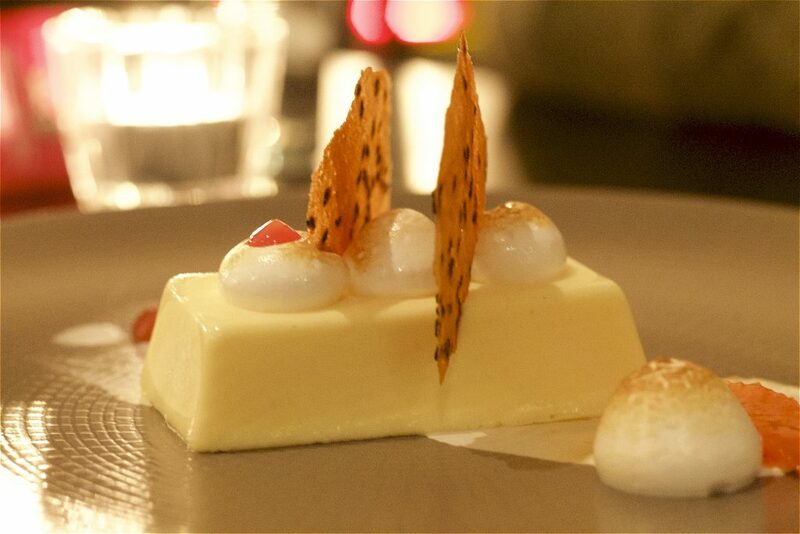 It was served with toasted marshmallow, blood orange and tahini tuile. What’s tahini tuile? Haven’t a breeze but it tastes nice! 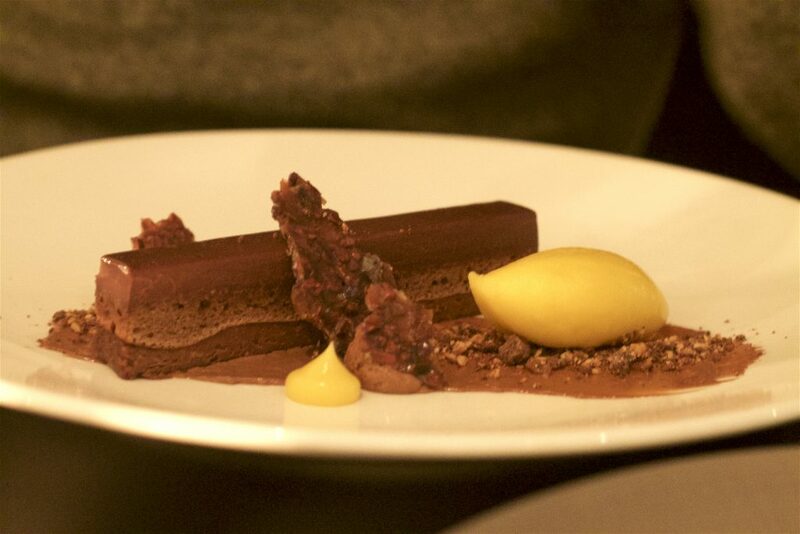 The chocolate dessert tasted like a homemade KitKat with hazelnuts. The contrast of the rich chocolate and the tart passionfruit sorbet was well balanced and played off each other really well. If we hadn’t had 3 sides Mr. LP would have probably ordered a second one. Overall it was a fantastic meal and I can’t wait to go back. Bang Restaurant is definitely in my top 5 list of places to eat in Dublin for a “fancy” sit down meal. For what you get it’s fantastically priced and worth every penny.